Health Benefits Of Coconut Oil is a video that highlights all the ways you can use coconut oil to improve your health and well-being. The health benefits of coconut oil are what has allowed it to stand the test of time. Coconut oil has been around for hundreds of years and has been a staple food in many ancient tribes. Coconut oil benefits the entire, body both inside and out. From your skin or intestines, coconut oil benefits are wide ranging. The first most popular use of coconut oils is for cooking. This superfood oil is heat stable and can be used for anything from baking to frying. Coconut oil for skin health is probably the second most popular use. You can use coconut oil for a moisturizer, a sun block, or even as a skin cleanser. The uses for coconut oil is truly unlimited as it has so many applications. Lets keep exploring the health benefits of coconut oil. The health benefits of coconut oil further include improving heart health, improving digestion, improving hair health, and promoting fat burning. Many ancient tribes around the world have eaten high amounts of coconut oil and are free of both heart disease and cardiovascular related illnesses. This leads us to believe that, along with much of the other research available, coconut oil is a heart healthy food. One of the major benefits of eating coconut oil is that it supports brain health. It has been proven to support both memory and recall in patients. It has also been known to be an incredible option for supporting the reversal of Alzheimer’s. Coconut oil is known to be a very efficient fuel source to the brain as it can be utilized very easily for energy. 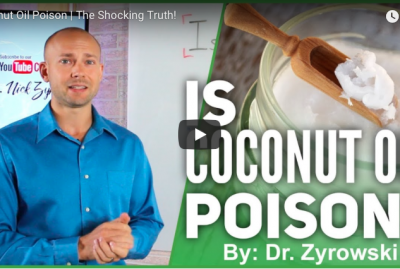 In this video we are going to cover the health benefits of coconut oil. Hi, I am Dr. Zyrowski with NuvisionExcel.com. As always if you are new to the channel, it is a great pleasure to have you here. Subscribe and hit that little bell notification and I am going to help you excel your health and your life. 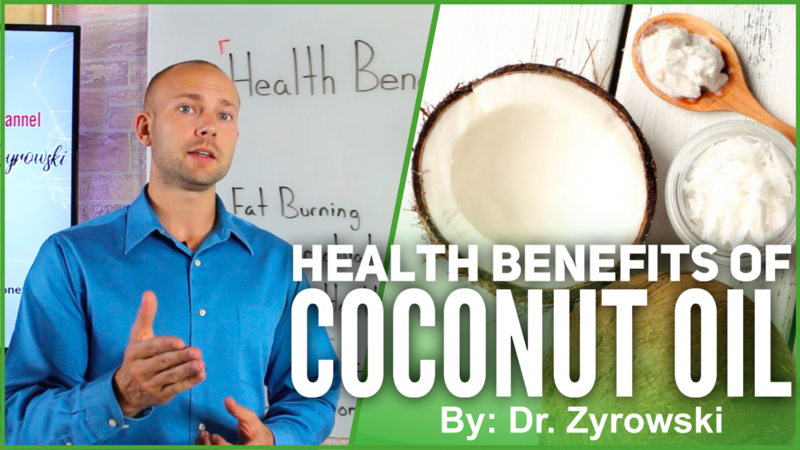 In this video we are going to discuss the health benefits of coconut oil. You know, a lot of people talk badly about coconut oil. I think it is absolutely incredible. It has so many healing benefits so were going to talk about the top benefits that people are using it for. Sure, the benefits go far beyond this list here, but let’s talk about some of the top ways and let’s jump right into fat burning. When we look at coconut oil it is very powerful for fat burning. It is because fatty acids are first of all very satiating but the other reason that it is very powerful for fat burning is it actually will keep your insulin levels very low. Fat itself in the coconut oil is going to be very satiating, hold you over and keep your insulin levels very low and as a result keep your weight low. 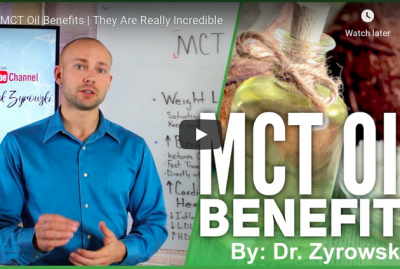 The other thing that was studied and found out about coconut oil is the MCT within it are capable of increasing your calories burned over a 24-hour period by 5% so that is also going to help with fat burning. Everyone is looking for fat burning so, coconut oil can really help you with that. The next thing about the health benefits of coconut oil is it is a very powerful antimicrobial. When we look at the cap ilia acid and the low Ric acid all found in coconut oil. It is proven to be an antibacterial, antifungal, a antiviral, and support killing off the pathogens off the body. Though it is a very gentle one it is also very powerful in nature simply because it is not just destroying some of these different medications when it comes to killing off bacteria. Using coconut as an antimicrobial is going to be really great and it can be used in so many applications. On your skin, consuming it whatever you choose to do there. Another thing you can do is use the coconut oil to improve your dental health. First of all, the coconut oil is really going to support building strong bones but when it comes to dental health specifically, people will do something called oil pulling. Where you will take a scoop of coconut oil out, put it in your mouth and swish it around for 10-20 minutes. By doing so it is going to really help reduce plaque and plaque induced gingivitis. Using coconut oil to improve your dental health is a powerful strategy. It is something I’ve done for a long period of time. 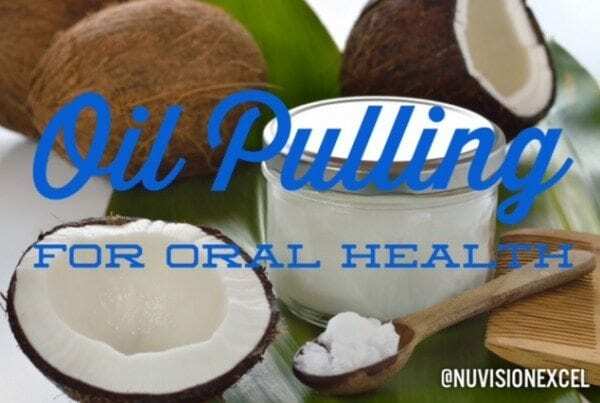 Though I don’t care much for the process of oil pulling, it works very well, and it has worked great for me personally. The next thing is it is going to boost your brain function. When we look at the brain it is made up of 60% plus fats. Now when we look at coconut oil it is a very efficient for the brain. Now, the journal of biology of aging what they have found is going to support memory and recall in patients and it also is going to support Alzheimer’s patients. If you want to improve brain function what you can do is go and use coconut oil. That is why people blend coconut oil in with their coffee. It gives a brain boost in the morning. If you haven’t given it a try, give it a try. Maybe you will really like it. The next thing that coconut oil really supports is improving your digestion. If you are someone who has ulcers or IBS, it helps sooth that inflammation but the other thing that coconut oil really does is what we already talked about it is a powerful antimicrobial. So if you have pathogens living in your gut or a overgrowth of bad bacteria, essentially consuming coconut oil is going to improve the digestion killing off some of that bad bacteria but also soothing the inflammation and healing your gut. That is really great for digestion, give it a try. When we move to the other side of the board here, we’re looking at coconut oil and skin health. Now coconut oil can be used as a moisturizer, a skin cleanser, and it can also be used as a sun blocking agent. Coconut oil blocks 20% of the suns UV rays. Now when we look at skin conditions, you can use it for eczema, you can use it for skin healing. You can also use it for inflammation and for the reversal of any other skin conditions out there. We also know now that it is a powerful antimicrobial. So, any type of issue on the skin when it comes to microbes you can use coconut oil to assist you in that process of getting better. When we look at hair care it is really good for dandruff, getting rid of dandruff. It is also really good for using on brittle hair. Now, people like to use coconut oil to make DIY shampoos and do it yourself hair masks, so you can use coconut oil for that. So, give it a try if you haven’t done that yet. Now improving Candida and yeast infections. This is a big problem today because people are eating way too many carbs, too much sugar. So, a lot of people have candida and yeast overgrowth and coconut oil can reduce that in the body. Simply consume coconut oil and it is going to knock that candida and yeast out and get rid of it. The next thing on the list is it is going to improve your heart health. The reason coconut oil improves your heart health is because it increases your HDL levels which is your healthy cholesterol. The other thing it does is decreases your LDL’s which is your bad cholesterol. It even converts bad cholesterol into good cholesterol. The other thing that we know about coconuts in general, saturated fats and coconut oil, is that there have been ancient tribes for centuries that have consumed these saturated fats and what we find in them is that they have high heart health, great heart health. The other thing that they have is low instances of heart disease. If we want to increase our heart health be sure to use coconut oil. If you want to learn more about coconut oil check out another video I did on this topic. Other than that, be sure to use coconut oil for all these issues and many more that we didn’t get to. We talked about the top ones, but it can be used for so many more applications as well. Be sure to like this video and subscribe to the channel, I’d greatly appreciate it. Check out the other videos and I’ll see you in the next video.